This Outlander fingerless gloves pattern will allow you to practice knitting in the round in simple garter stitch and the finished mitts will look great made in any colour. This is the fourth pattern in my Outlander collection, you can see the first – the Fraser’s Ridge flat knit fingerless mittens here. If you have been watching the Outlander TV series, recently in season four, you have probably noticed the beautiful knitted pieces that Claire’s daughter Brianna wears, including her olive green fingerless mittens. Brianna is seen wearing a range of knitted pieces, including a striped capelet and a simple garter stitch knitted infinity scarf. They are also in many neutral colours, from shades of grey, olive greens, black and brown. Inspired by Brianna Fraser wearing beautiful knitted pieces, in Fraser’s Ridge, North Carolina the mittens are knit in the round and have a knitted thumb. They have a curled edge, at the wrist, at the top of the hand and thumb, to look like Brianna’s gloves in the image above. 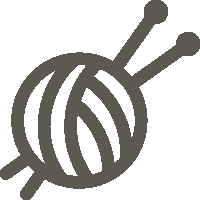 Basic knowledge of knitting is all that is required for you to get started. 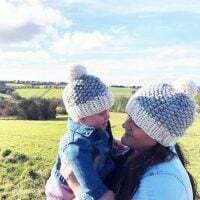 I wanted to make a collection of knits that are inspired by both Claire and her daughter Brianna, from mitts to scarves. 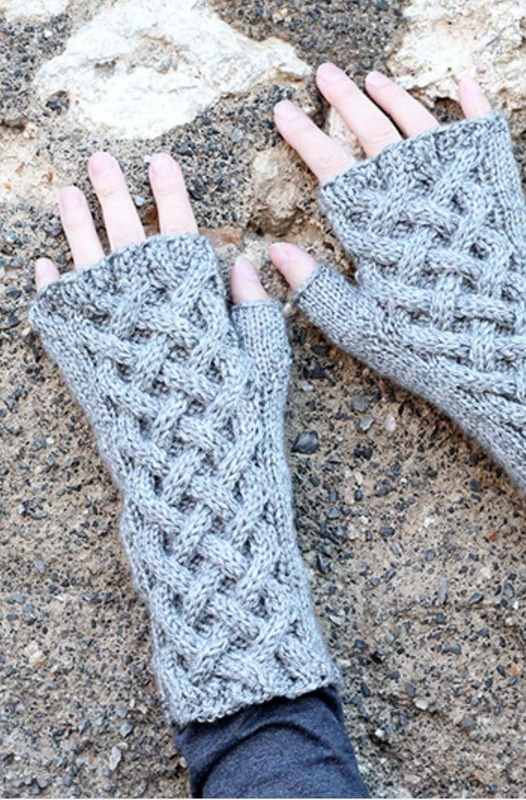 The Brianna fingerless gloves are perfect for the colder weather, as they have been knit with medium weight yarn (04), in Himalaya Everyday New Tweed, shade 75122 – olive green. Using knit stitches, you will create an interesting design, knit in the round on circular needles, with the thumb gusset. The thumb gusset is explained in the pattern and is easy to follow, knitting in the round so that you don’t have to pick up and knit stitches later on. 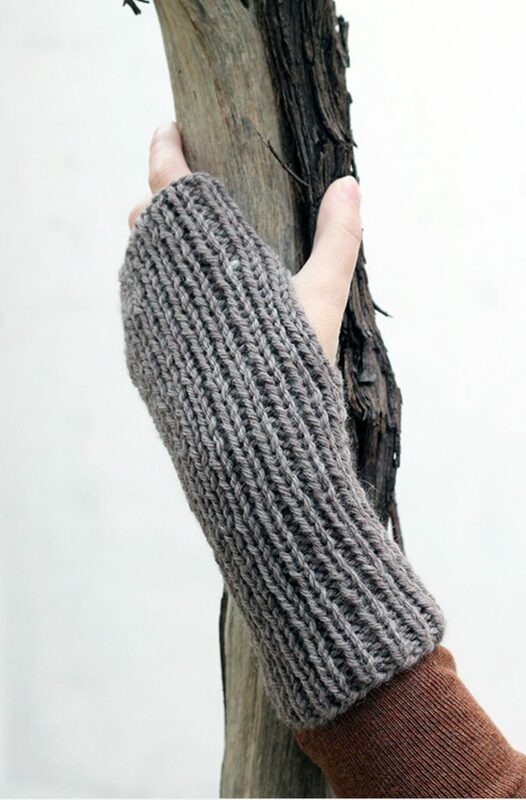 The Outlander gloves use basic knitting stitches – knitting in garter stitch to create the design. 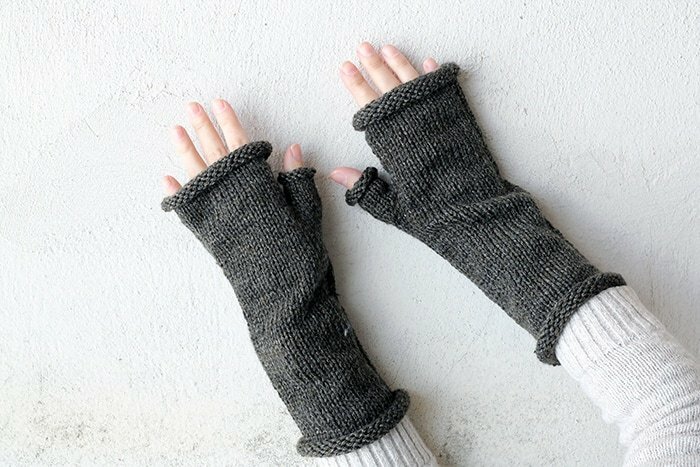 Make this pair of fingerless mitts with the easy to print out pattern below, then come back and let me know what you think in the comments or leave a review! 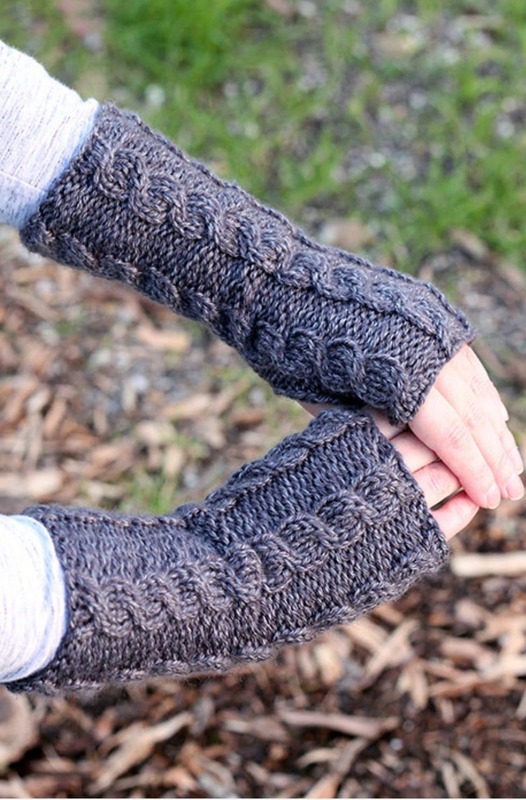 This Outlander fingerless gloves knitting pattern will allow you to practice knitting in the round in simple garter stitch and the finished mitts will look great made in any colour. CO 40 sts and join in the round, being careful not to twist. Knit every round until the piece measures 8 inches from the cast on edge (or until you have the length you desire). K 17, remove marker and place 12 sts onto a stitch holder, CO 1 st and K 17 to the end of the round. Knit every round until the piece measures 3.5 inches from the thumb hole or until your desired length to top of hand. Place the 12 sts from the stitch holder onto the needles. Pick up and knit 1 st from the CO edge. Knit every round until the thumb measures 2 inches. Place a stitch or two if there is a gap beside the base of the thumb. Gauge = 6 sts in 6 rows in 1 inch. If you enjoyed making the Outlander fingerless mitts, I’d love to see yours on Instagram, be sure to tag me @handylittleme. Do you have the pattern for the striped capelet? I love this! I am looking for the striped capelet pattern that Brianna wears with the green fingerless gloves Has anyone seen it? Hello, sorry I had forgotten to add that to the abbreviations earlier. M1 – means to make one stitch – you need to increase the number of stitches for the thumb gusset. Thanks for visiting and I hope that helps! I am finally getting around to starting these, and am already frustrated. 40 stitches of yarn at weight 4 on 16-inch, 5mm circulars is not enough to fit around and still be able to knit. Did you have this issue? If yes, what was your solution? Did you just use DPNs instead? I wonder if shorter-length circulars are a thing.